Tour begins and ends at Hillsboro Airport. Free parking available. See bottom of page for exact address. 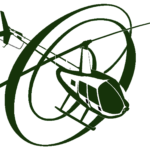 Thank you, Oregon helicopters, for the wonderful experience! I felt safe and relaxed with the pilot, Cody. I really liked the ability to talk with him during the flight through headsets. What a comfortable helicopter. I took probably a hundred pictures through it’s big windows. It’s a gorgeous state we are living in and I absolutely love seeing it from the air! I am looking forward to flying with you guys again. This summer I had the opportunity to fly with Oregon Helicopters and it was a truly unbelievable experience. Being able to see the earth from this perspective was amazing. Cody, the pilot, was very knowledgeable as he talked with us through our headsets to help us understand what we were flying over and looking at. One of our passengers had to get out at the last minute and Robert, the owner, was extremely accomadating and kind with the change. I can’t wait to get back into the air again with you guys. Thanks for the incredible experience.